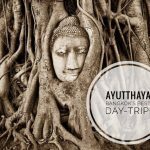 I’ve lived in Bangkok for 7 years, on and off, and I figured I’d seen more of what the city and surroundings have to offer. 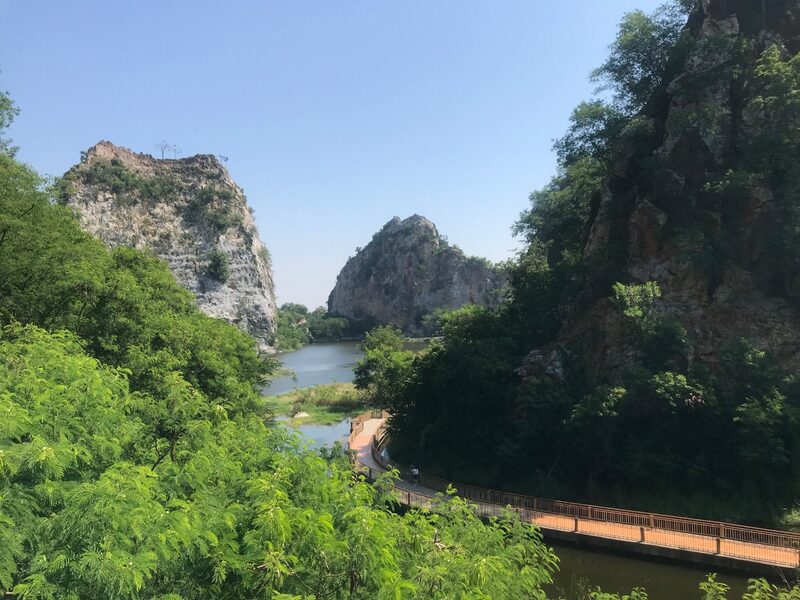 Khao Yai, Hua Hin, Kanchanabrui, Amphawa, but I had never ventured to the neighboring area of Ratchaburi properly. 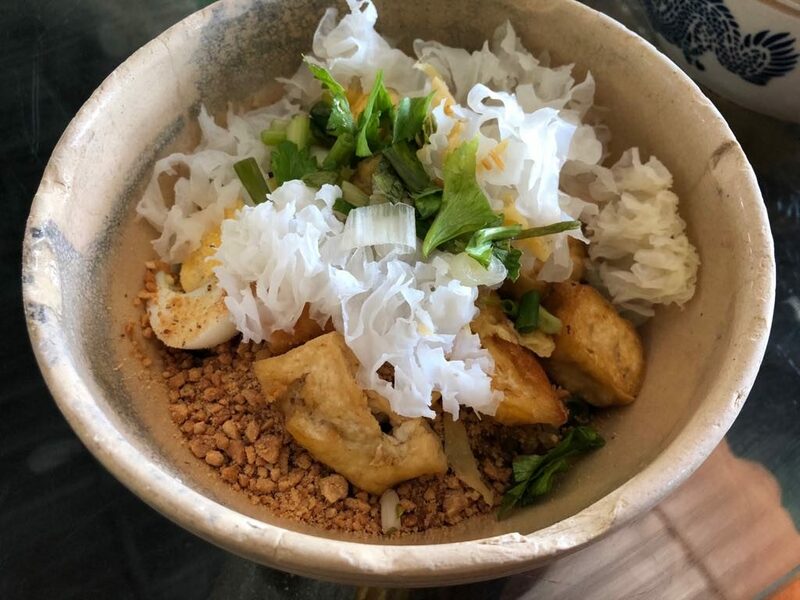 I finally had the opportunity to do just that when TakeMeTour offered me the chance to take their Noodle and Pottery tour. The thing about booking a tour meant that all I had to do was to put in my hotel address (or condo, in my case here in Bangkok), now that’s the kind of convenience I need in my life! I used their website directly to book, from there I could send messages to our tour guide. We organised our pick-up time (8am), and the location directly through the site. 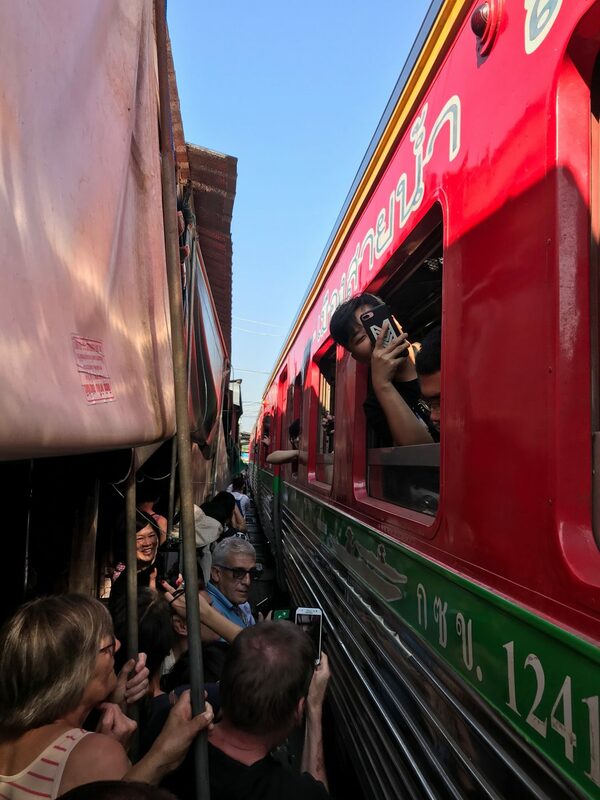 He spoke fluent English, I gave him my phone number and then he asked me if I’d like to leave one hour early and go and see the train market before we started the ‘official’ tour, at no extra cost. Done. Maybe you guys have heard of this, the train market went viral a couple of years ago on YouTube. 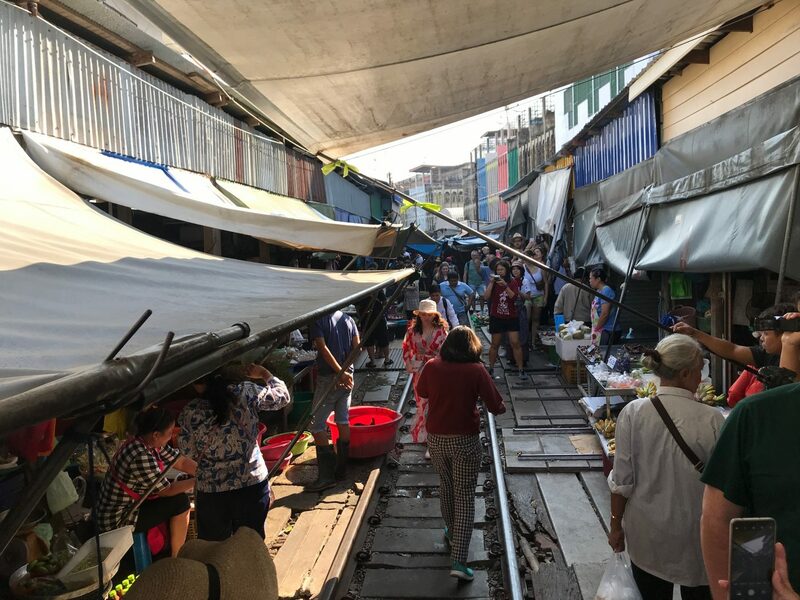 Basically, a local market has a train track running directly through the market. 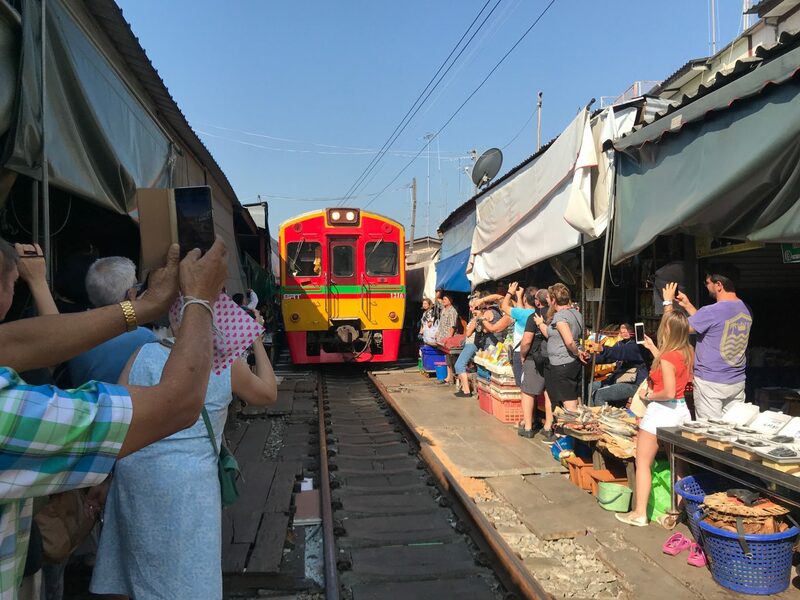 Then multiple times per day, the vendors have to quickly pull back their shutters and their goods, let the train pass, then instantly return their stall to full working order. It’s a big tourist attraction now, but it’s understandable why, it’s pretty cool. 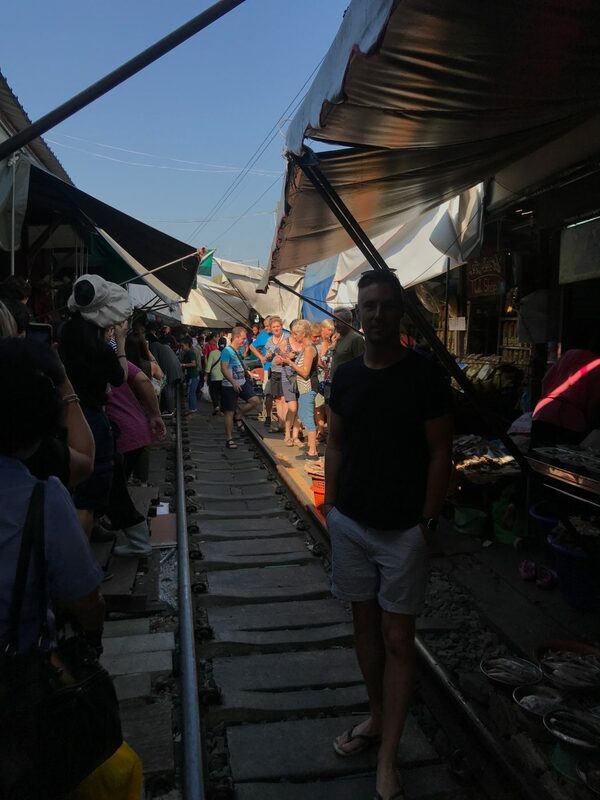 Also, the market itself is great, so if the early start was a bit too much, grab a coffee and some fresh Thai food for a dollar or two before moving on. We left Bangkok around 7am, and got here around 8.20am. Tommy, our guide, knew the train times, so we were there just in time to see the train leave the station, quite the sight indeed. Also, when the train passes, be sure to breathe in – it’s a tight squeeze! After nearly getting killed by the train (! 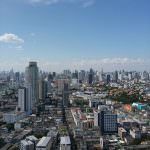 ), we were off to a little-known escape from Bangkok called Khao Ngu. If you speak any time, you’ll know that means ‘Snake Park’, eeeek. But don’t worry, chances of seeing any snakes are very slim. 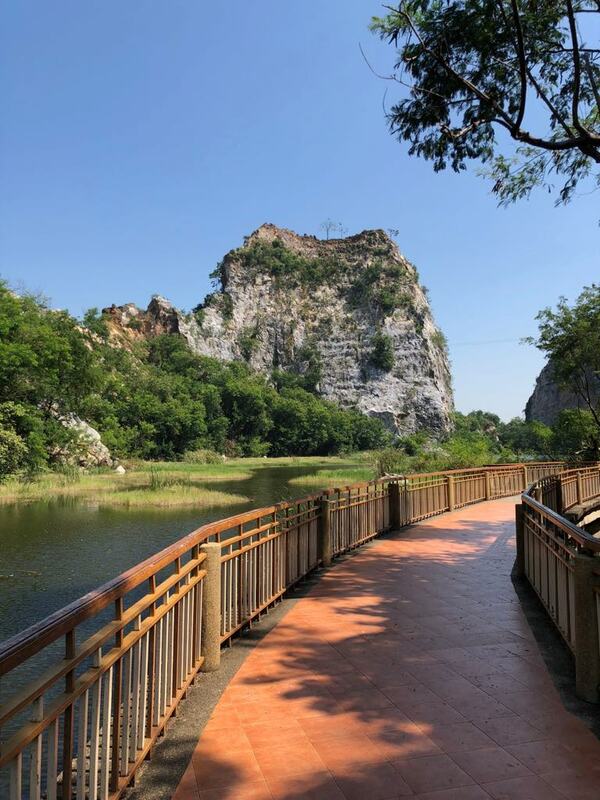 Bangkok is my favourite big city in the world, but to have this gorgeous, Thai-style park just over an hour away was an awesome surprise. It’s quite small, but as you can see from the pics below, it’s really beautiful. Worth an hour or 2 of anyone’s time. They have some small street vendors selling food etc, and you can take boats on the water too if you have the time. This was a great surprise to be honest, I had never even heard of it. Shame on me! It was now around 10.30am or so, and we were off to a Coconut Farm. 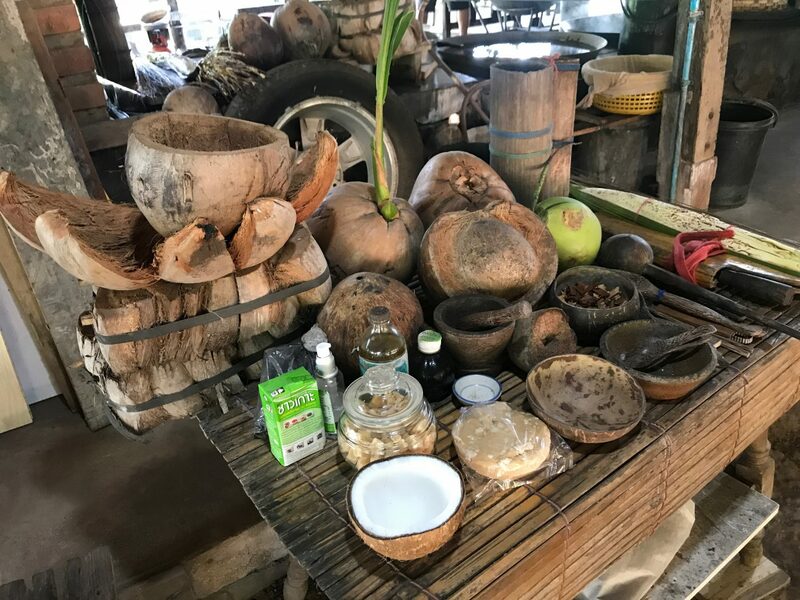 Here we’d learn all the ways coconuts are used in local economies, from coconut milk, to skin products, to coconut sugar. It’s really interesting, and for people quite new to Thailand, you get to visit a traditional house on stilts. Woooooowzer! 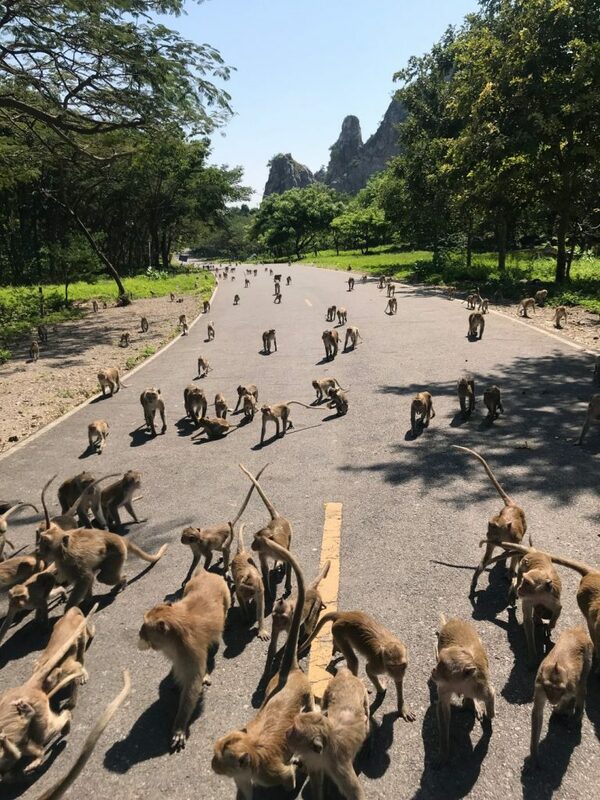 On the way back from eith Khao Ngu or the Coconut Farm, your guide will stop to see ‘a few monkeys’. 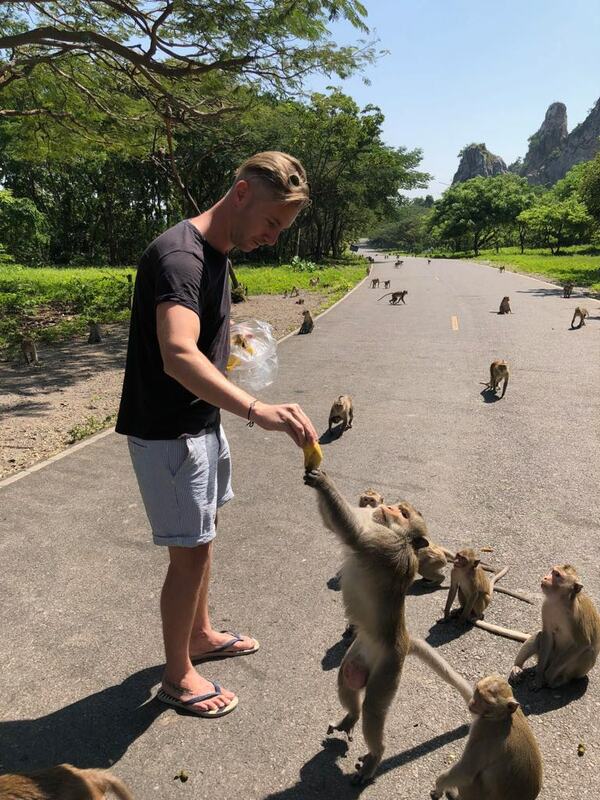 Now I live in Thailand, so I was expecting some tourist rubbish with a couple of monkeys chasing us. NOPE. We drove down a random street into a jungle-esque setting, and we were surrounded by Monkeys, hundreds and hundreds of the things, everywhere. You have a chance to buy some bananas for the little guys, just be ready to be engulfed by the monkeys within 1 minute of arriving. They’re actually pretty tame, but that doesn’t mean they don’t hop all over you searching for more bananas once you run out! Finally, it’s lunch time. 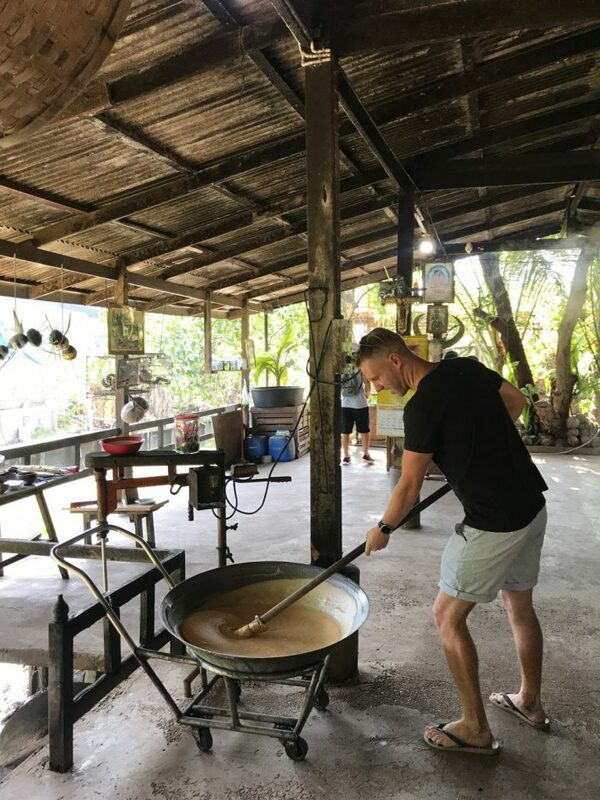 Ratchaburi has some famous local noodle stops, and TakeMeTour insist on taking you to ‘real’ foodie spots rather than tourist places. This local noodle eatery had great veggie options (and meat) and the food was included in the price. Finally comes the main draw for the tour. 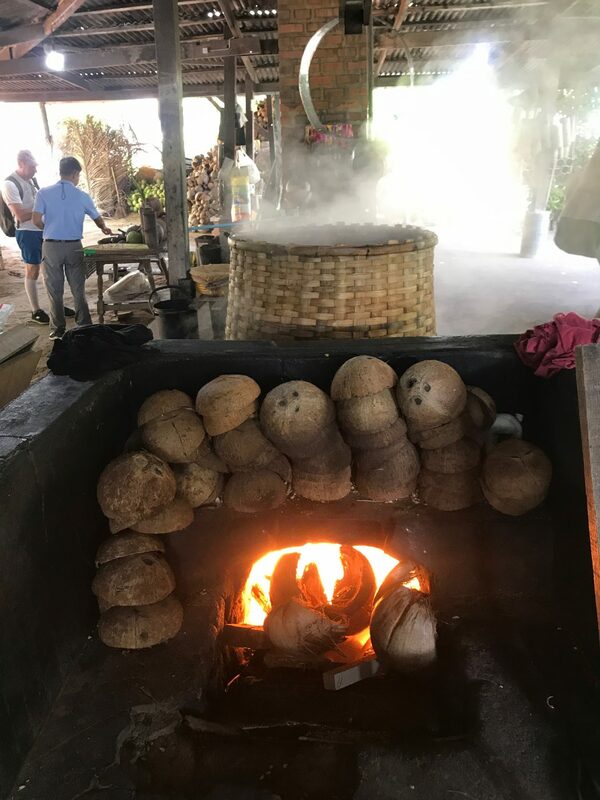 Ratchaburi province is super famous for its pottery traditions, and this was our chance to delve a little deeper into their traditions. 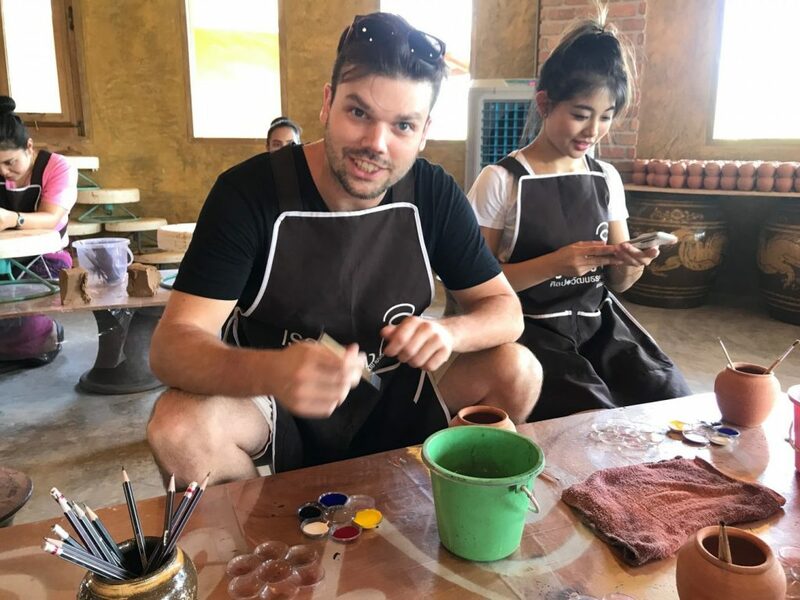 The whole tour in the pottery factory can take anything from 1 to 2 hours, including a short video, a walking tour, and then 2 opportunities for arts and crafts (this would be great if you had kids with you, painting, making the pots etc). Considering I’m possibly the least artistic person Thailand has ever seen, I’ll show you photos of Josh and Jaa hard at work instead! After you finish up, you give the factory your address etc and they send your creation to your home address, or to the rubbish bin in my case. We left my condo at 7am, and we were back around 4pm (should have been around 2.30/3pm but that Bangkok traffic on a Friday afternoon is a killer). 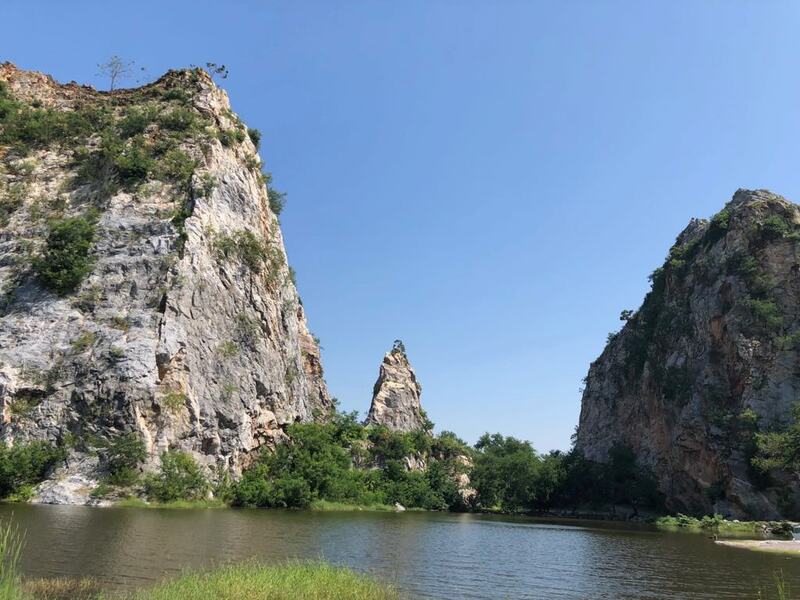 If you’ve experience Bangkok, and most of the things on offer there, then a tour to Ratchaburi is a great option. 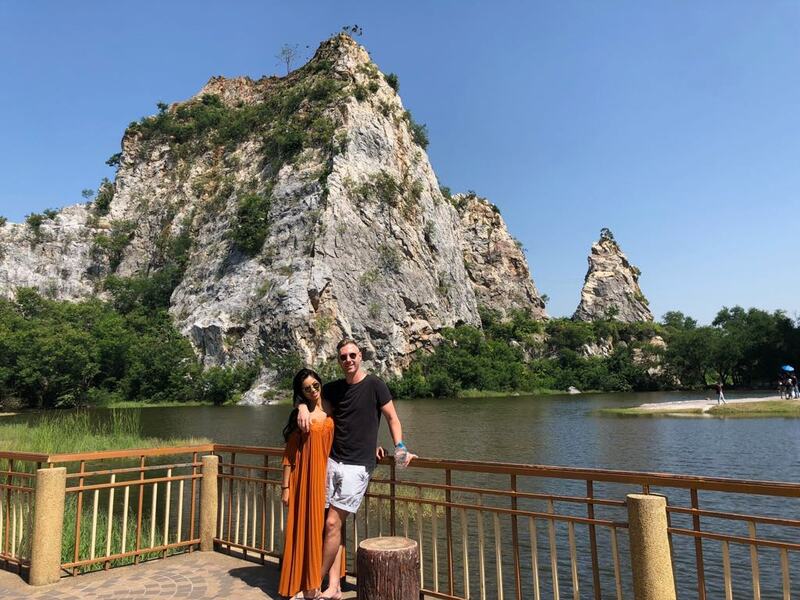 Not only do you get to escape the Bangkok chaos, but you get to explore regional cultures, walk around some beautiful parks, eat legit local food and even end up with a home-made ornament for your home. Highlight recommended. Why you should visit Derry – Northern Ireland’s hidden gem. The information is just amazing. Good to hear all that. Looking forward for such content.